This bulletin provides a sample of the wide range of information that can be found on the Domestic Gas Health and Safety website which is updated regularly. This includes useful information for both landlords and tenants as well as others. Do you find this eBulletin useful? … Are there any items or information that you’d like to see in future? … Please feel free to provide feedback or ideas by emailing: Gas.Enquiries@hse.gov.uk. Around 1.1 million gas jobs are carried out each year by illegal gas workers who aren't properly qualified. In the UK, Isle of Man and Guernsey, gas engineers must be registered with Gas Safe Register by law to work on gas. If the person you've hired is not Gas Safe registered they are working illegally and could be putting you at risk of deadly carbon monoxide (CO) poisoning, gas leaks, fires and explosions. 22 people have died and nearly 1,000 been injured due to gas related incidents in the last 3 years. 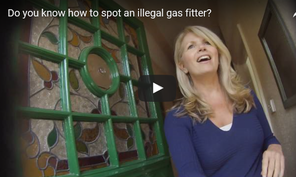 The only way to know for sure if your gas engineer is legal and qualified, is to check with Gas Safe Register by visiting www.GasSafeRegister.co.uk, calling 0800 408 5500 or checking the engineer's official Gas Safe ID card. Take a look at what happened when Gas Safe Register filmed a hidden camera style experiment showing what customers did when a Gas Safe registered engineer arrived at their door. If you suspect anyone is carrying out gas work illegally, you can report it to Gas Safe Register and they will investigate. Guilty: A Teesside landlord illegally uncapped and reconnected a gas supply. Guilty: A North Devon gas engineer carried out asbestos removal putting himself and others at risk. Guilty: A London landlord failed to have safety checks carried out putting his tenant at risk. Guilty: An Essex plumber carried out gas work despite not being Gas Safe registered. Guilty: A South Devon gas fitter fraudulently claimed to be Gas Safe registered and carried out work which subsequently proved to be dangerous. Guilty: A South Devon landlord risked his tenants' lives by failing to have a boiler checked and maintained. Guilty: A South Devon plumber risked the lives of tenants by arranging for gas safety checks by an unregistered fitter. Guilty: A Lancashire landlord failed to arrange annual gas safety checks at a property he owned. Guilty: A South Devon man illegally installed pipework and a boiler in a flat despite holding no competencies in gas work. Guilty: A Cornwall-based businessman fraudulently carried out gas safety checks at a number of properties. Guilty: A Derbyshire gas fitter carried out unsafe work resulting in a gas leak. We issue e-Bulletins and would welcome your feedback and views as well as suggestions for future articles. You can contact us at Gas.Enquiries@hse.gov.uk . Sign up for other e-Bulletins. Free guidance covering a wide range of gas health and safety topics is available on HSE's website.